Because of the recent focus on Nashville as a hot city for culture and job growth, Nashville area real estate continues to thrive as people flock here to be a part of this exciting growth. As new people come to Middle Tennessee, they quickly realize that there are a plethora of options around the city where they can choose to settle. The stress seems to be that there are too many great places to choose from, so newcomers need general direction in knowing what is best for them. Whether you are new to Middle Tennessee or want to relocate within the area, here are some tips for finding the best place for you and your family to settle. - Set a realistic but firm budget. Don't get in over your head. Set a budget that allows wiggle room for you to live comfortably. - Define your must-haves. It's difficult to find a "perfect" home if you have no idea what you're looking for. Narrow down your focus. Do you want to live in the city or the suburbs? Do you want a big yard for kids to play in, or would you rather have a small lot that is taken care of by an association fee? Would a one-level home better meet your needs for the future, or would a multi-level home work for years to come? - Drive and/or walk the neighborhood. Do this at different times of the day to get a feel for the people, traffic, and other activities. Are people out and about, or do they keep to themselves? Do the streets get backed up during rush hours? - Drive/ride your would-be commute. Pick a morning and afternoon to take your route to and from work from the prospective neighborhood. Is this something you can live with day-to-day or would it add a lot of extra stress to your life? Is there major construction on the way that could cause a problem for a long time, or is that something you could live with knowing that traffic will get better once it's done? - Talk to the neighbors. Ask about local parks, restaurants, and other areas of interest. Ask them their opinions of the neighborhood. Is there an HOA? If so, what are the costs, pros and cons? Use your networking skills to ask around and see if any friends or co-workers feel strongly about certain neighborhoods. If you don't know anyone who lives here yet, use online resources to see if people are chatting about certain neighborhoods. - Research the zoned schools. Even if you don't have children, this could be an important factor if you should ever try to sell this house in the future. Homes sell better in great school districts. If you do have kids, talk to other families with kids in those schools or go on a tour of the school. For a score report in the state of Tennessee, click here. - Remember your first impression. What do you notice first about the neighborhood? Do the streets have curb appeal? Are the houses well-maintained? Do the shops and restaurants look hip and inviting? You'll want to feel good about where you call home and impress buyers when you're ready to move on. - Look for warning signs. Be on the lookout for signs that the neighborhood is in trouble. Do you see abandoned buildings or vandalism? Are there a lot of "For Sale" signs or rentals? If the community goes downhill, so does your house's value. - Stop and listen. Bird and nature sounds are generally pleasant, but what about noise from the highway, airport, hospital, train tracks, construction, or nearby clubs and bars? It's not very relaxing to listen to trains screech by during your morning coffee-especially not every morning. 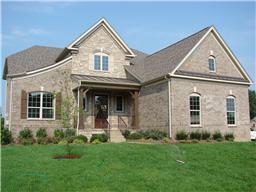 There are many great neighborhoods in the Nashville area. Contact me and I'll help you find the right fit for you and your family!